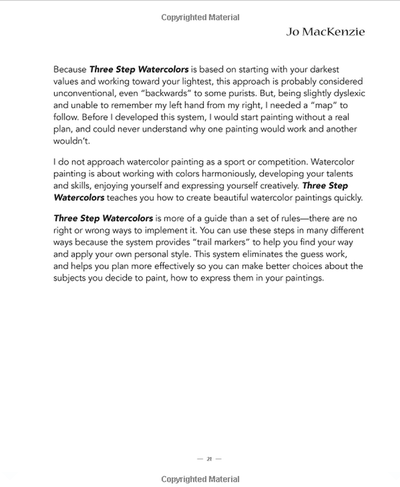 Three Step Watercolors presents a new and refreshing approach to painting with watercolors. 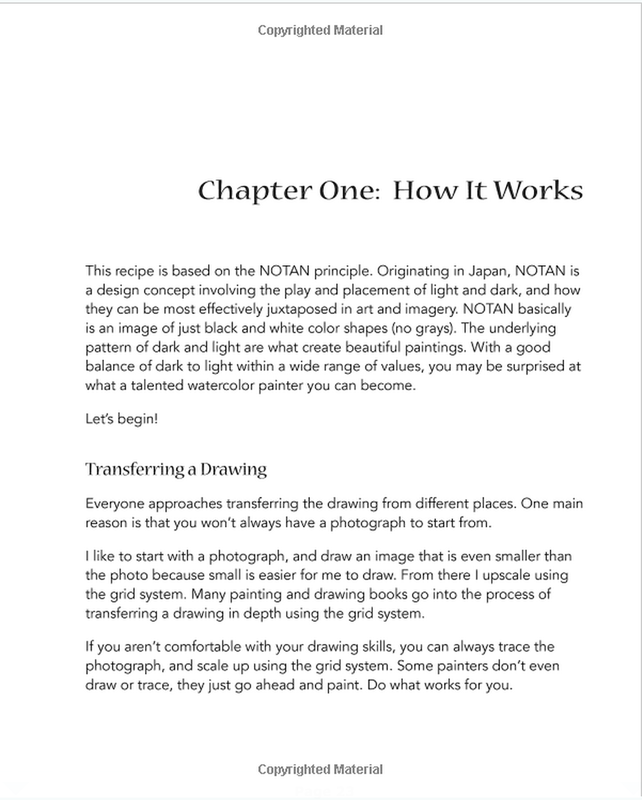 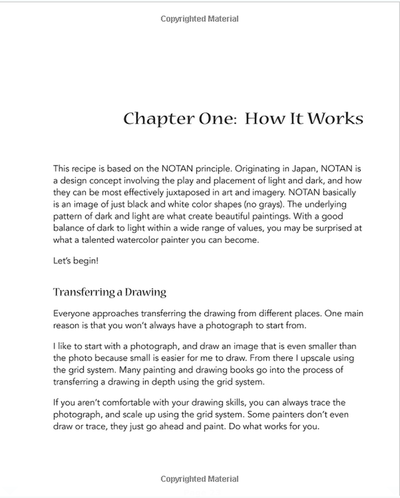 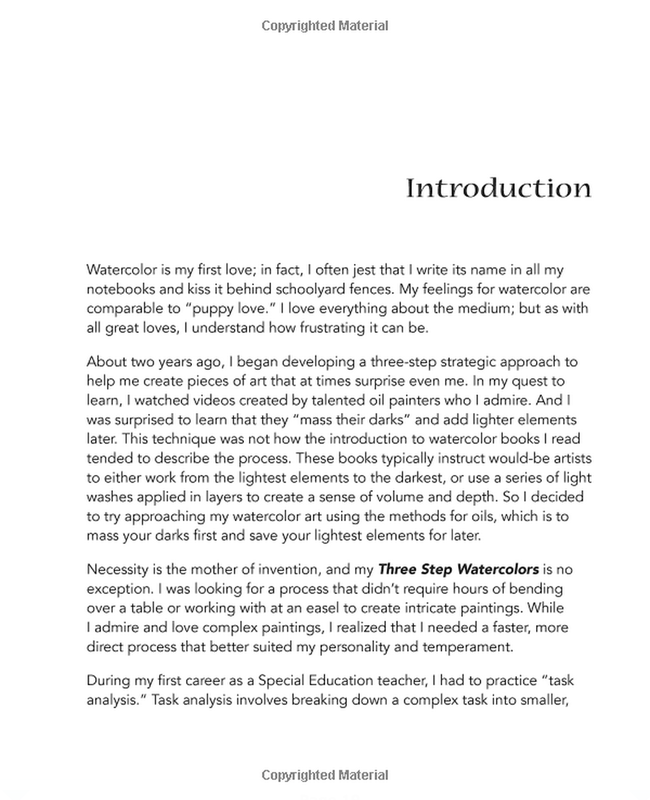 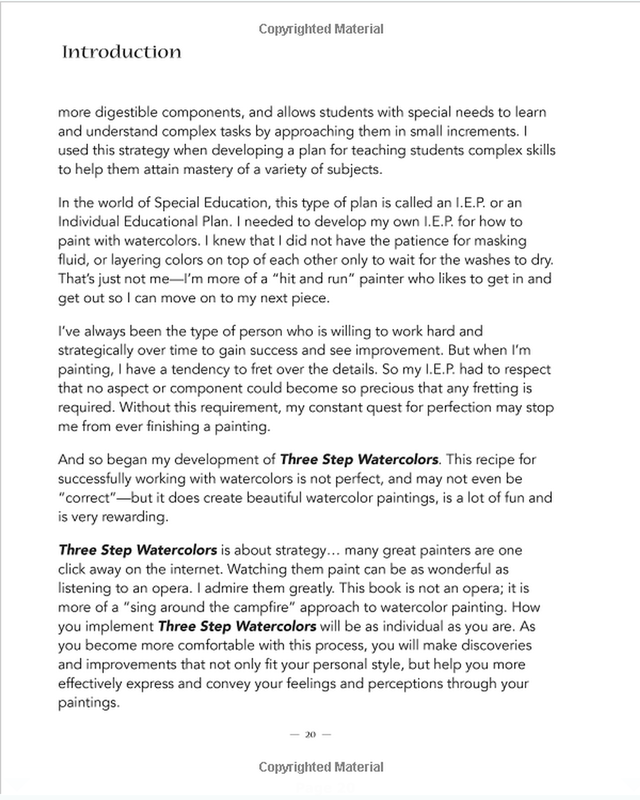 By tapping into my experience as a special education teacher, I create an Individual Education Plan for everyone who wants to explore the world of watercolor (and all visual mediums) painting. Three Step Watercolors will help you become a talented artist in three simple, easy to customize, steps. 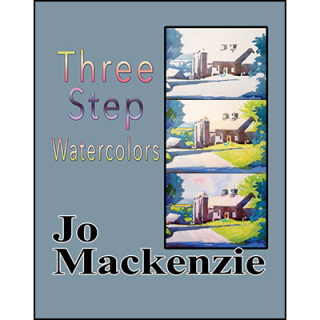 Three Step Watercolors is also available at amazon.com and iTunes. 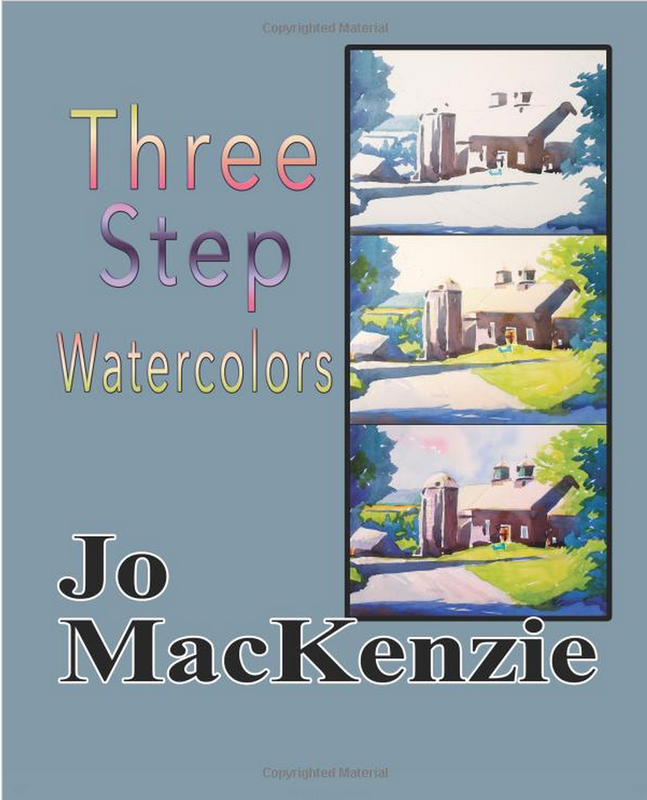 I am a watercolor painter who lives and works with my husband, musician Tom MacKenzie, in rural Vermont. 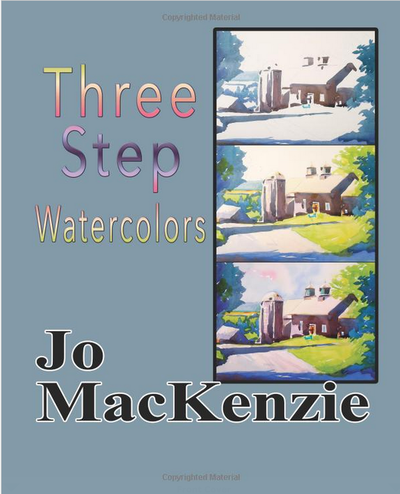 My art can be seen and purchased at JoMacKenzie.com. 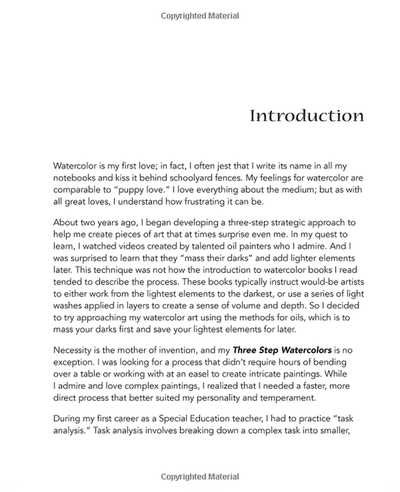 I believe that art should be a conversation with an emphasis on learning, sharing and making connections with others. 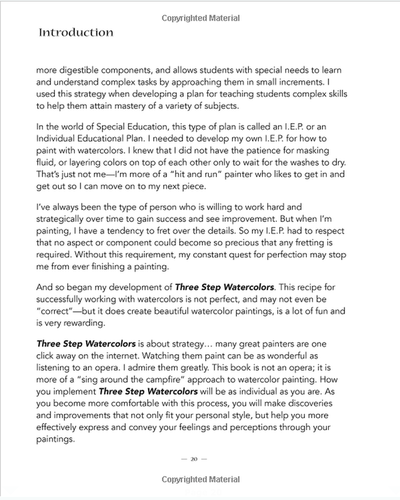 My life philosophy is to “never give-up,” encouraging everyone to participate at whatever level possible. 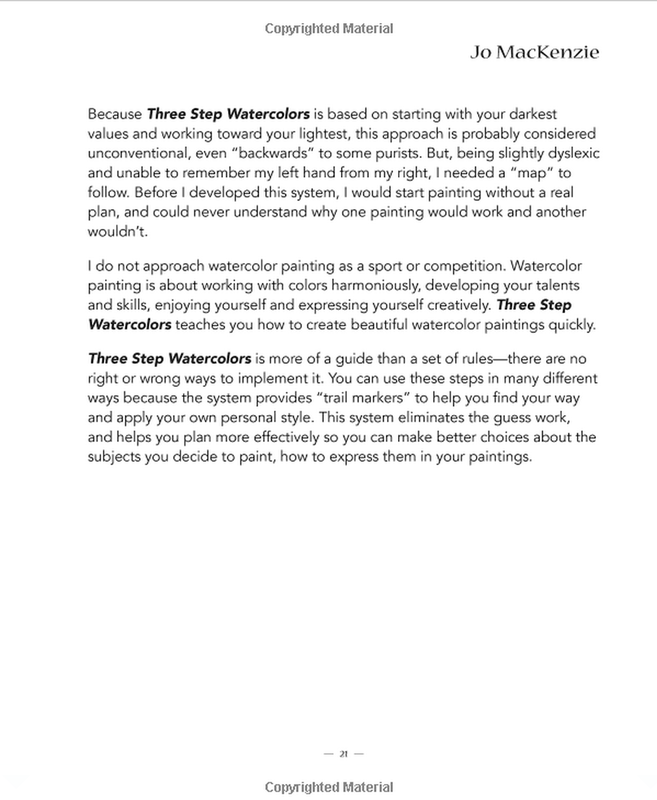 "Three Step Watercolors presents a new and refreshing approach to painting with watercolors. 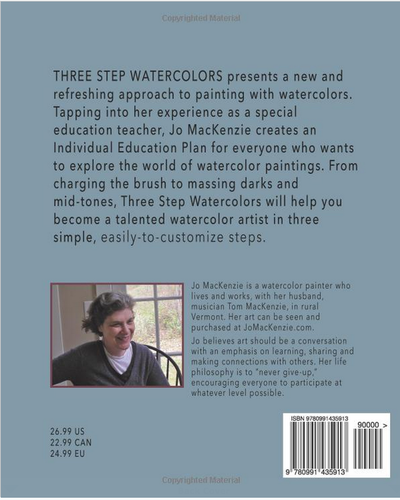 Tapping into her experience as a special education teacher, Jo MacKenzie creates an Individual Education Plan for everyone who wants to explore the world of watercolor paintings. From charging the brush to massing darks and mid-tones, Three Step Watercolors will help you become a talented watercolor artist in three simple, easily-to-customize steps." 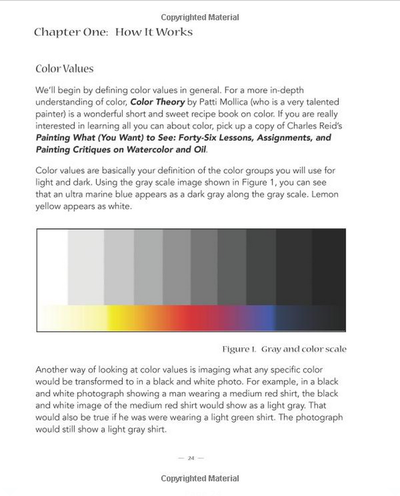 CLICK ON AN IMAGE TO ENLARGE TEXT FOR EASIER VIEWING.